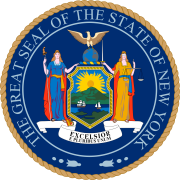 The 1998 New York Attorney General election took place on November 3, 1998 along with elections to the United States Senate in other states as well as elections to the United States House of Representatives and various state and local elections. Democratic challenger Eliot Spitzer narrowly unseated one-term Republican incumbent Dennis Vacco. MP Jeremy Corbyn calls for solidarity with students victims of violence in Mexico.